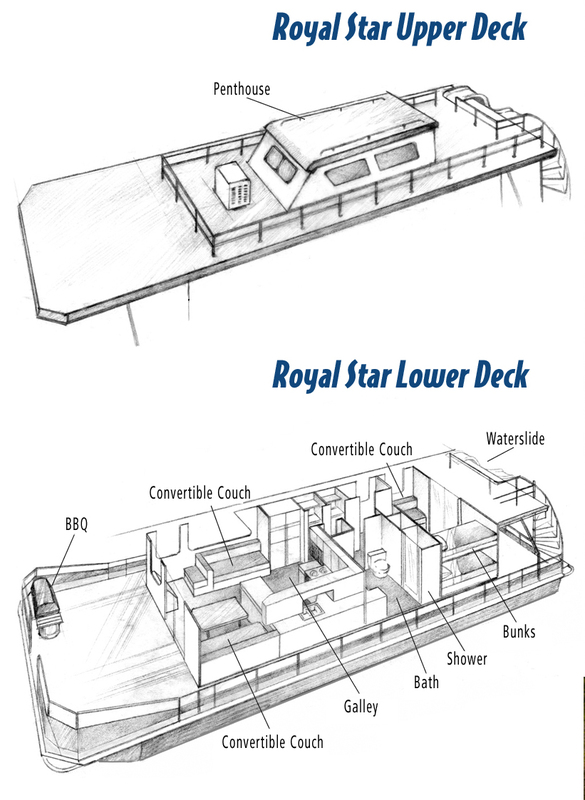 The traditionally styled Royal Star is roomy and family friendly, with 2 double bunks in the aft stateroom and 3 convertible couches located throughout the cabin. Take the spiral staircase to the penthouse loft that comfortably accommodates 4. The Royal Star sleeps 12 comfortably(16 max).